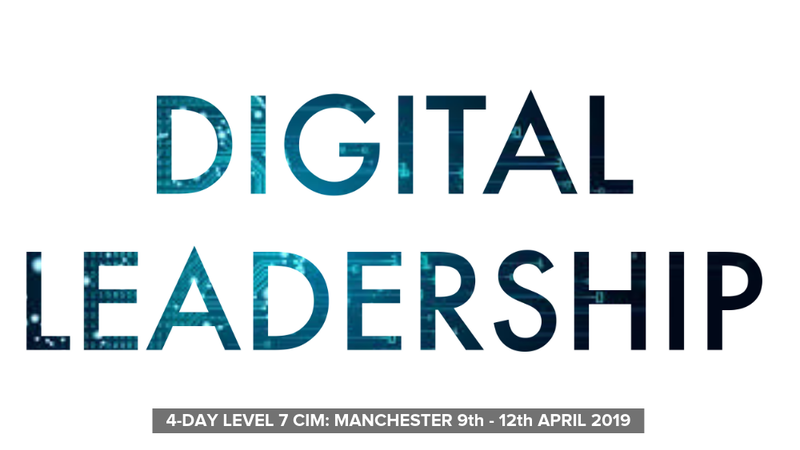 From 9th – 12th April Warren is working with in>Professional Development to deliver a 4-day Level 7 CIM, mini MBA Digital Leadership programme in Chester. Emerging digital technologies have the potential to reshape the world in which we live and work. They can be game changers, creating entirely new products and services while shifting pools of value between producers, or from producers to consumers. Organisations will often need to use business model innovations to capture some of this value. Leaders across organisations of all shapes and sizes must be ‘digitally ready’ – to know what’s on the horizon and start preparing and planning for it now. Leaders are needed who can combine thinking and acting strategically with the ability to transform their organisations digitally. They must possess the self-belief, understanding and drive to take their organisations through the many challenges that digitally-led change brings, to be the leaders for now and the future. Warren has a vision to help 100,000 global businesses successfully sell more products and services through the strategic use of digital marketing by 2020. To reach this goal, Warren is helping create radical rethinking through his certified training and speaking on how organisations use technology in pursuit of building brand awareness and new revenue streams.